I really like Coursera. The courses are very professionally presented. They have plenty of courses about business and various other subjects such as maths and science but, beyond art history, they don’t have much on the creative side of things. Never mind, there’s no shortage of these elsewhere around the interwebs so perhaps more about them later. 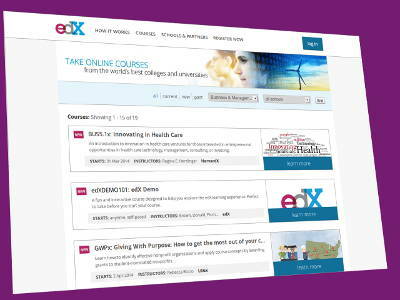 There’s also edX, where you can take free online courses from some of the world’s top colleges and universities. They cover a wide variety of subjects including business, literature and science from some pretty cool universities such as MIT, Harvard and Berkeley. And now for a slightly different proposition. Have a look at CreativeLive. These guys offer some great courses for creative people. They offer subjects such as art and design, photo and video, music and video, craft and plus business and money. So there should be something for everyone in there. These courses are also free, but the “catch” is that you have to watch them at the times of CreativeLive’s live broadcasts (or rebroadcasts, although obviously you don’t get to “chat” with the presenters during those). Otherwise, if you want to watch them in your own time you have to pay to add them to your online library with CreativeLive. If you’re time rich and money poor I guess you won’t mind too much if you have to watch a “must-do” course at some queer time in the morning. 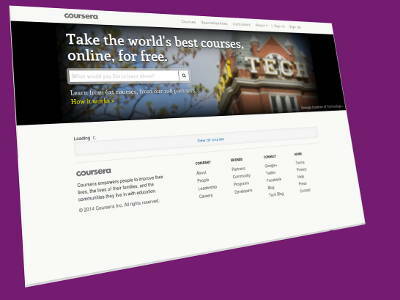 Have you done any of these types of courses? Perhaps you’ve been a student or a lecturer? Please comment below and share your experiences.